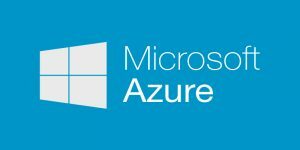 Azure is Microsoft’s cloud computing platform that is meant to compete with Amazon AWS and Google Cloud. For the complete newbie, all of these platforms are somewhat more complicated to understand and use compared to standard web hosting places. The most basic approach to cloud computing is the use of virtual machines (also known as VM’s). Azure gives the user the ability to create a VM on demand from a menu or from a pre-defined image. This is known in technology circles as IaaS (Infrastructure as a Service) and is the foundation for most cloud computing services. You pay for the amount time that the VM is in use. When you shut the VM down, the clock stops on the charges. Development – The time-based charge nature of cloud computing VM environments are ideal for development or test scenarios. Multiple machines can be spun up very quickly and killed off once the test is complete. Lift-and-Shift – This refers to moving a running application VHD. It is lifted from the on-premise data center and shifted to the cloud. It requires that the on-premise infrastructure is virtualized and that certain dependencies are removed prior to migration. Extend – Another option is to create a hybrid environment encompasses both the on-premise data center and virtualized applications in the cloud. A VPN between the two will allow both systems to access each other’s resources. This can also serve as a middle ground in a move to the cloud.